Do You Suffer from Amazon Guilt? Should You Feel Guilty about Shopping Online with Amazon? There is a new condition known as ‘Amazon Guilt’. Oh, it’s not clinically recognized, but it’s starting to be socially recognized. It’s basically the guilt that one feels for buying things online from Amazon rather than from a local provider. Sort of the way some people may feel guilty about shopping at big box stores rather than smaller mom and pop shops. 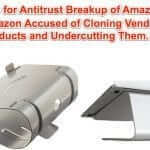 Actually, while we say that Amazon guilt is new, it was first described as far back as 2014, when Next City reporter Alexis Stephens wrote about the now apparently defunct MadeClose.com, which was a Brooklyn-based service designed to help consumers buy locally. That seems about right so far. 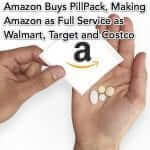 This is where MadeClose was supposed to enter – providing local alternatives to the things you might want to get from Amazon, with good prices, and even sometimes free shipping. 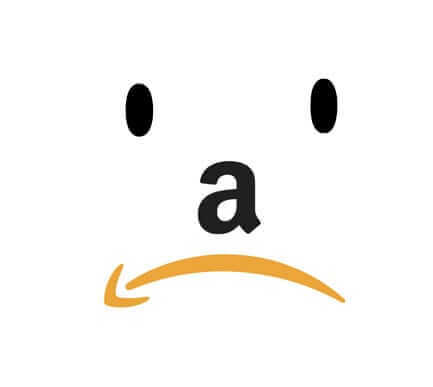 However with MadeClose now gone (at least their website is no longer available, although they do still have a Twitter account), the concept of Amazon Guilt seems to be the guilt that dared not speak its name again… until recently. And really, this is the fulcrum upon which Amazon Guilt balances: by shopping online, such as at Amazon, are we individually contributing to the death of those smaller, local stores? It would be pretty hard to say that collectively online shopping wasn’t putting the hurt on smaller, brick and mortar retailers. But online shopping was not the first to do that. So should we also be feeling Barnes & Noble guilt, and Best Buy guilt? Certainly there are those who experience Walmart guilt. The flip side of this is that businesses make money by giving consumers what the consumers want. If consumers want products at good prices and the convenience of not having to leave their home, Amazon delivers (no pun intended) in spades. If a business is offering what the consumers want (some would say demand), should the consumer feel guilty about availing themselves of what that business is offering, or even reject it entirely in favor of the local option, even if it is much more expensive? And how do consumers square the desirable trait – even need – of being fiscally responsible with choosing to pay more in order to keep a local business that is unable to provide what they want afloat? Of course, none of this even begins to address the related issues such as that local establishments provide employment to locals, and all that flows therefrom. 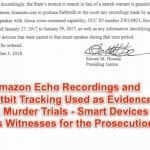 Fortunately we are not dealing with those issues here and now, we are talking about Amazon Guilt. So, should those who favor Amazon over local stores feel guilty about it? What if the local store is a national, big box chain? 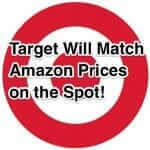 Do you feel Amazon guilt? There is a new condition known as 'Amazon Guilt'. Oh, it's not clinically recognized, but it's starting to be socially recognized. It's basically the guilt that one feels for buying things online from Amazon rather than from a local provider. Sort of the way some people feel guilty about shopping at big box stores rather than smaller mom and pop shops. Next Is Pink Tech Really a Problem or Just Not a Solution?